Healthy recipes and evidence-based nutrition information for cancer prevention, treatment and survivorship. A light and bright soup full of flavor and nutrition! I typically only like soup in cooler temperatures but my husband and I both have battled allergies and head colds recently and soup just sounded like the perfect therapy! 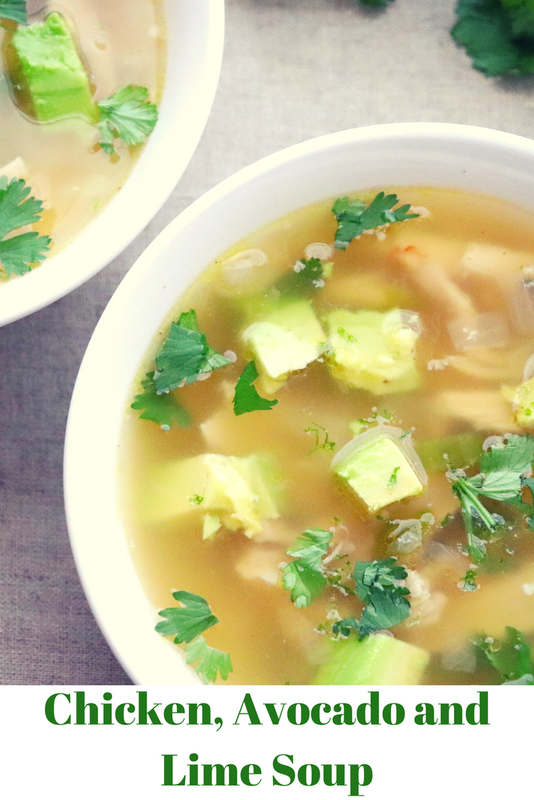 Broth-based with shredded rotisserie chicken, Great Northern beans, creamy avocado and acidic lime, this soup was nourishing as well as easy. Chopped jalapeno pepper added a burst of heat that did wonders for relieving sinus pressure. Much like the Immune Boosting Chicken Noodle Soup, adding citrus zest on top (in this case it was lime instead of lemon) enhanced the bright flavor of the soup. Heat olive oil in a large pot over medium heat. Add onion and jalapeno and sauté until tender (about 4-5 minutes). Add garlic and sauté for about 30 seconds. Add chicken, chicken broth, beans, cumin, salt and pepper to pot. Bring mixture just to a boil, reduce heat slightly, cover and simmer for 20 minutes. Remove from heat and stir in lime juice. Add avocado just before serving. Top each serving with a pinch of lime zest and chopped cilantro. Serve with additional toppings as desired. Sign up and receive healthy & easy recipes, nutrition & lifestyle tips, and latest nutrition and cancer research reviews.